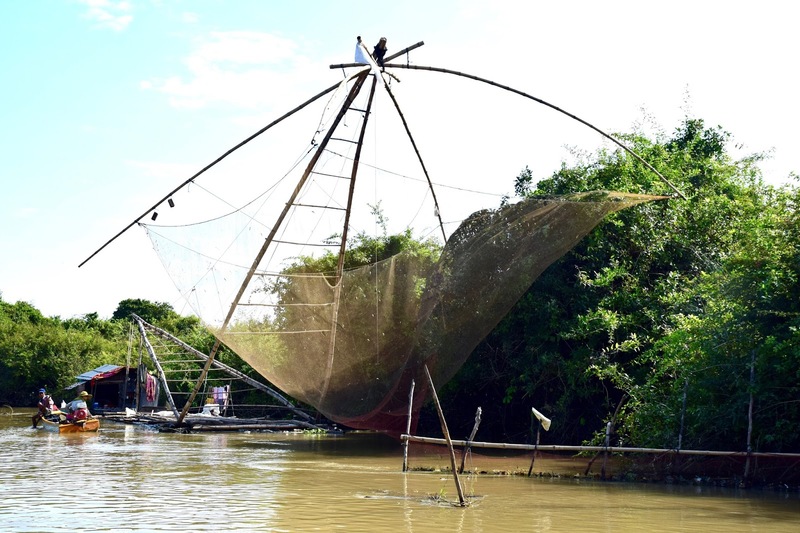 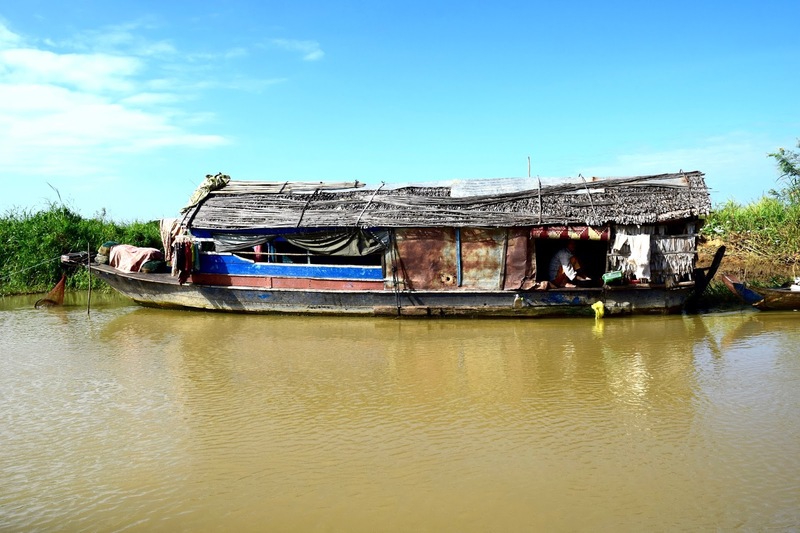 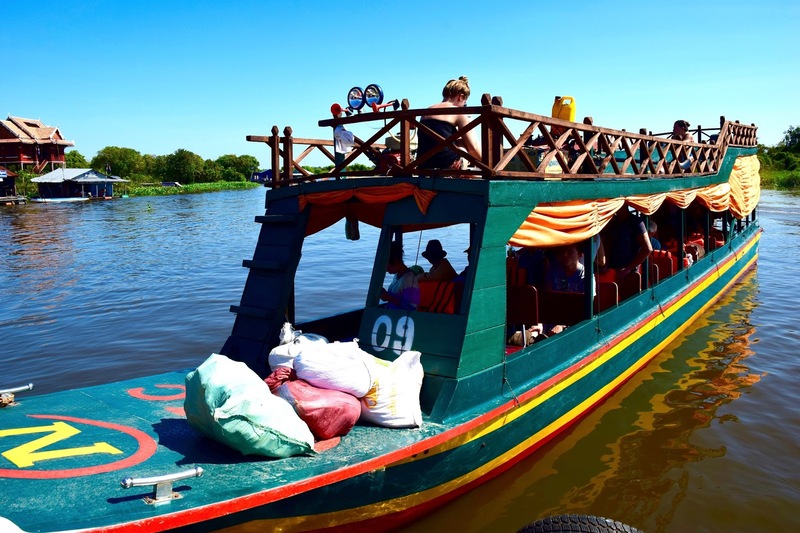 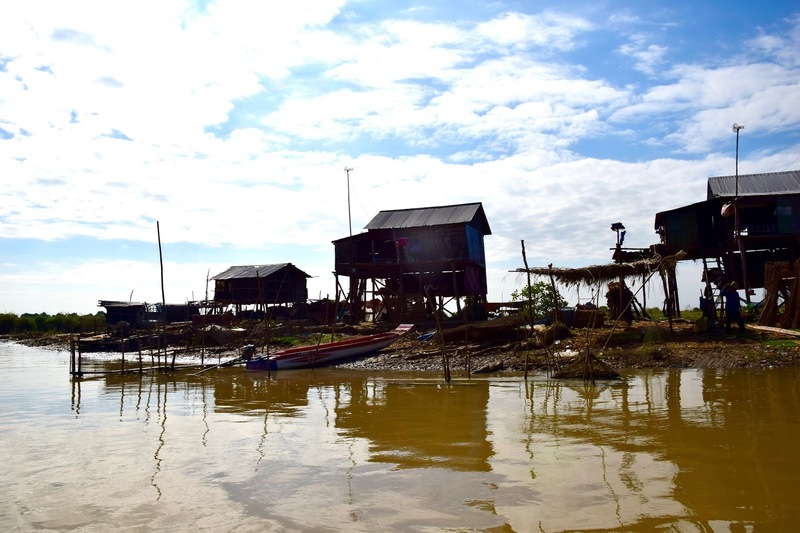 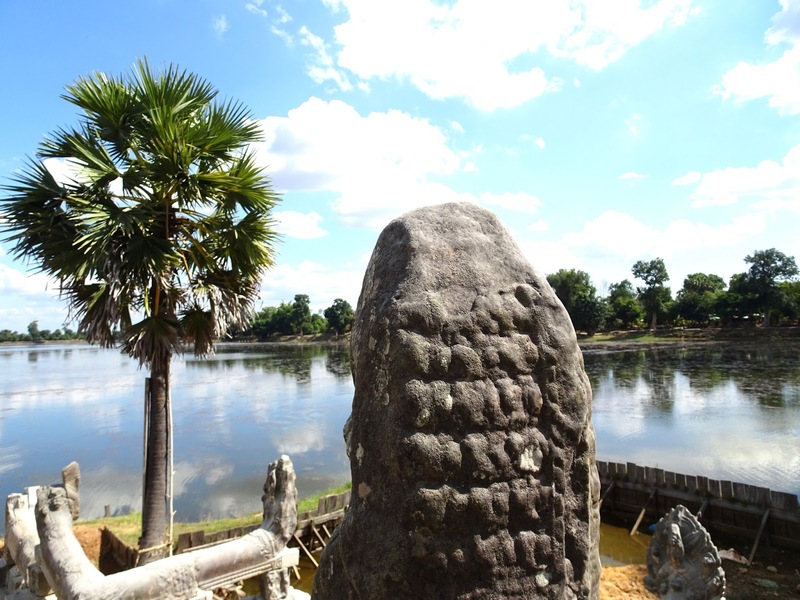 The first day was taken up by travelling from Battambang to Siem Reap, which we did by boat. 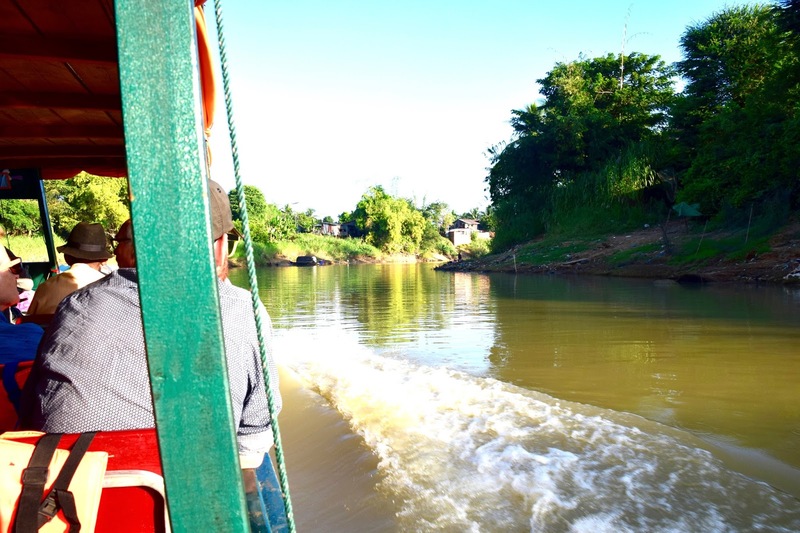 Although it was a very uncomfortable and long journey up the Sangkae, I’m so glad we decided to take this 8-hour trip instead of the much shorter bus journey, because it was so different experiencing Cambodia from the water. 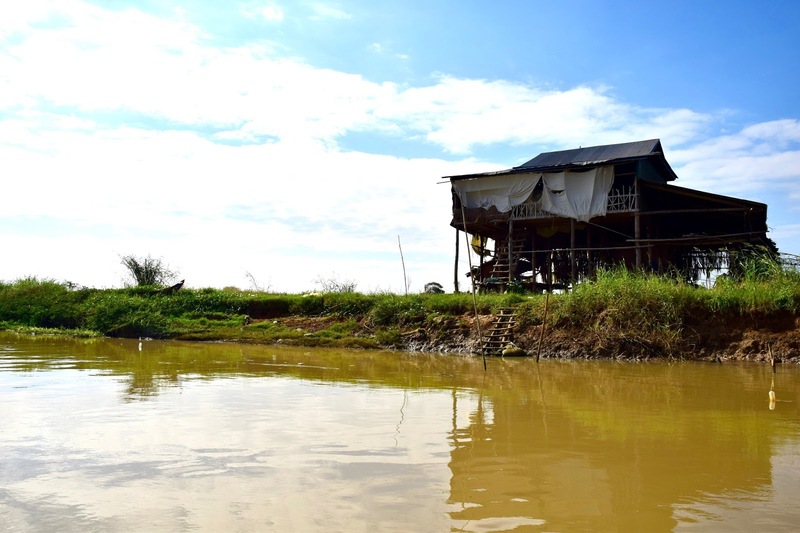 Despite advertising the fact that we would be taken to Siem Reap, the boat seemed to part from the main river and take us down a smaller, and very much more polluted, river before stopping about 25km from Siem Reap in the middle of nowhere, leaving us with no choice but to be completely ripped off by a tuk-tuk driver. 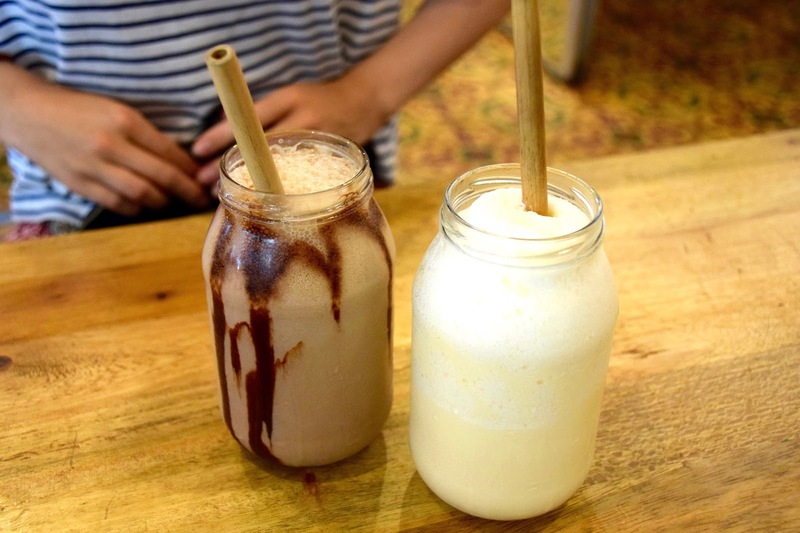 We were staying at Naga Hotel, and after a bit of a fiasco trying to get our rooms (since the people from the night before hadn’t yet checked out), we decided to crash there for the rest of the day. 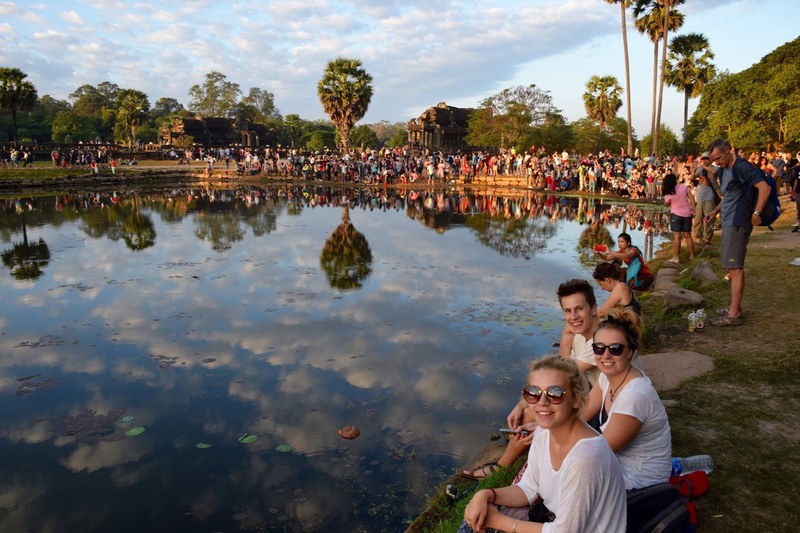 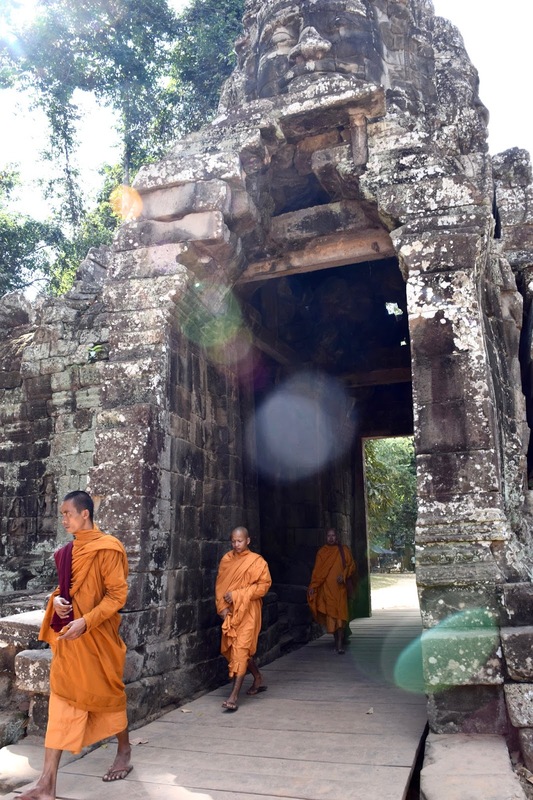 There are various different tickets you can get for Angkor, but we opted for a three-day ticket for $40 each, which you could use on any three days within a seven-day period. 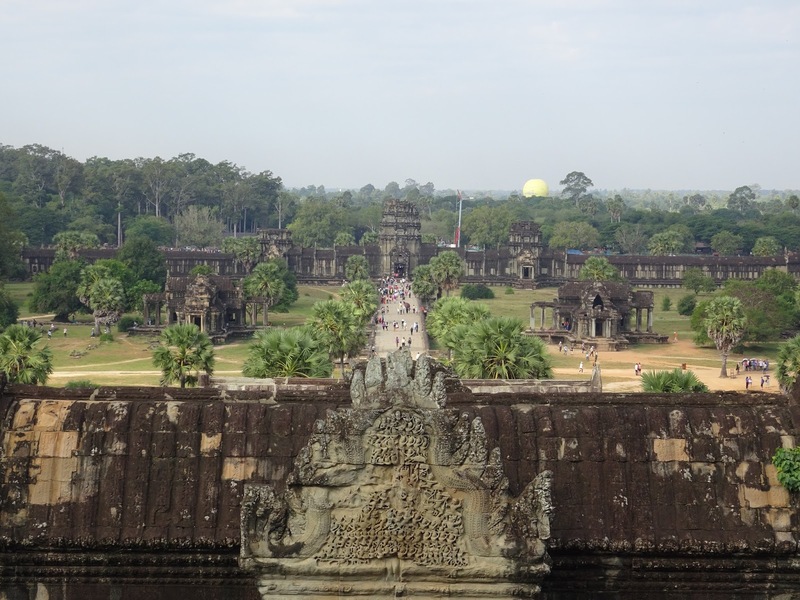 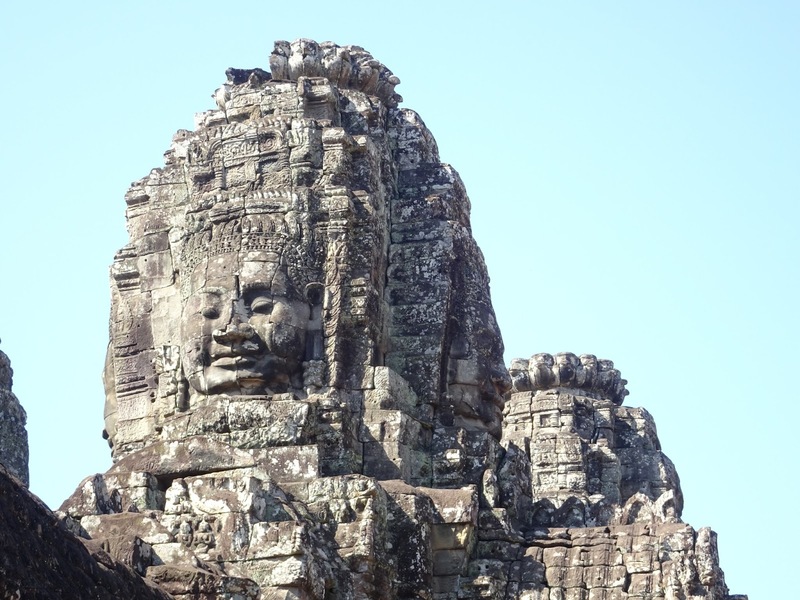 Nothing had prepared me for the size of Angkor, and the amount of temples there were to visit. 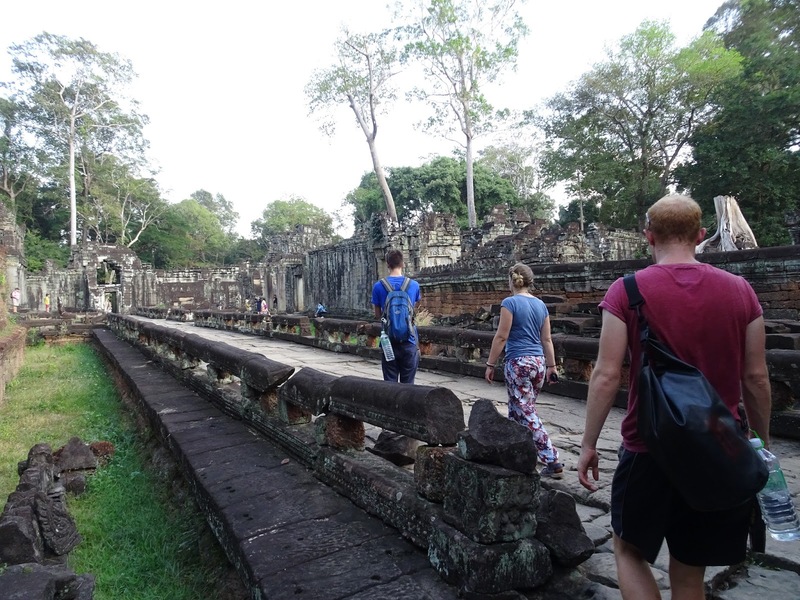 It wasn’t until we were booking our tuk-tuk that we realised we would need the driver for the whole day to take us the surprisingly long distance between temples. 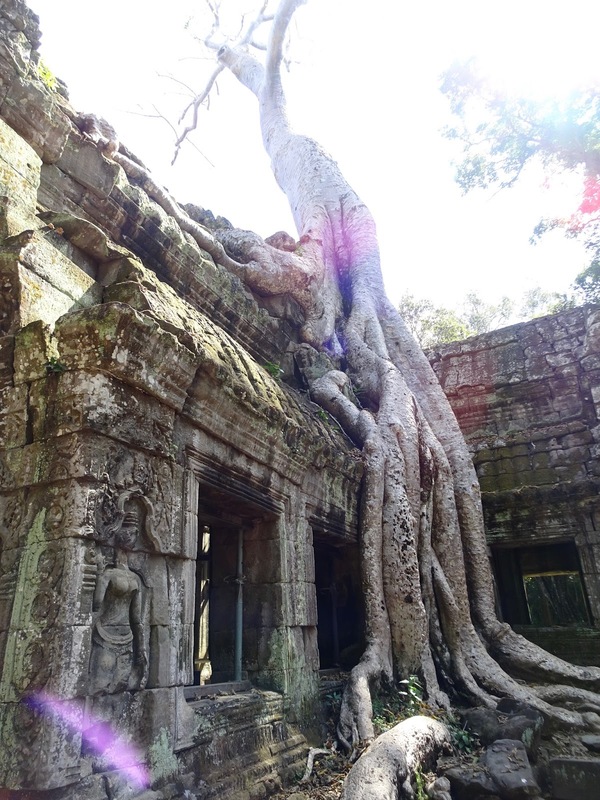 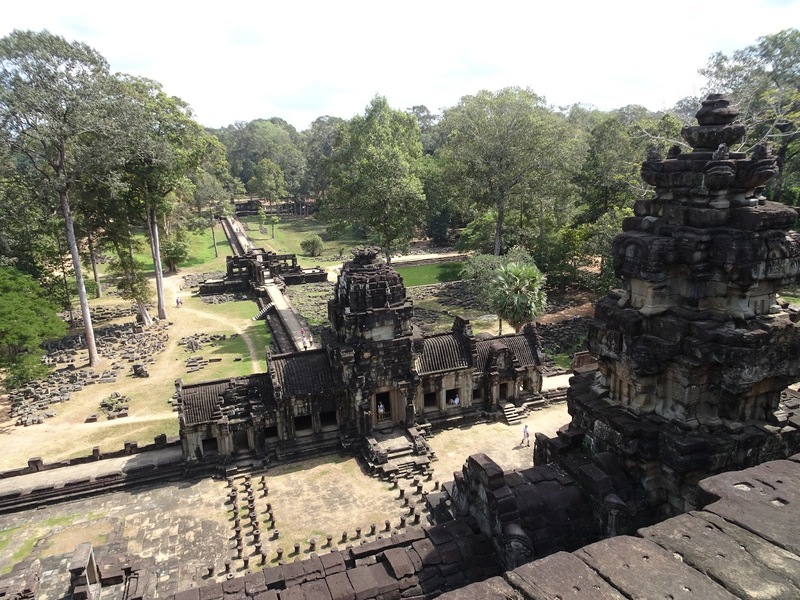 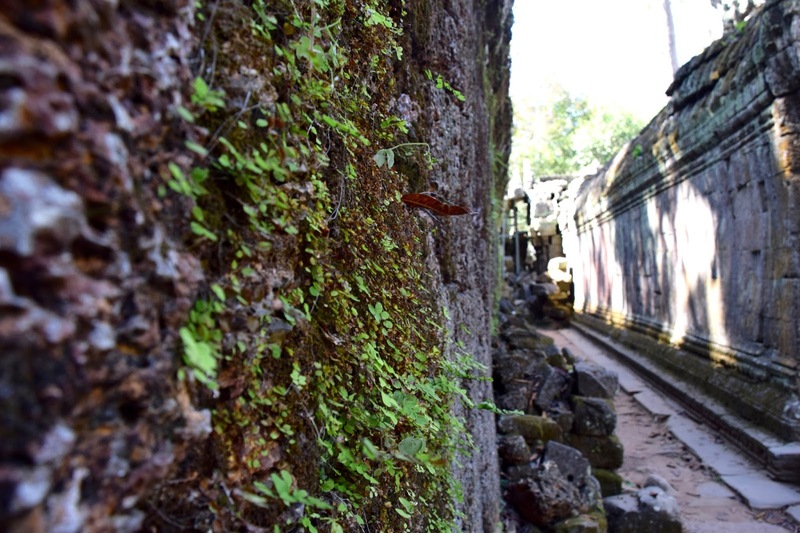 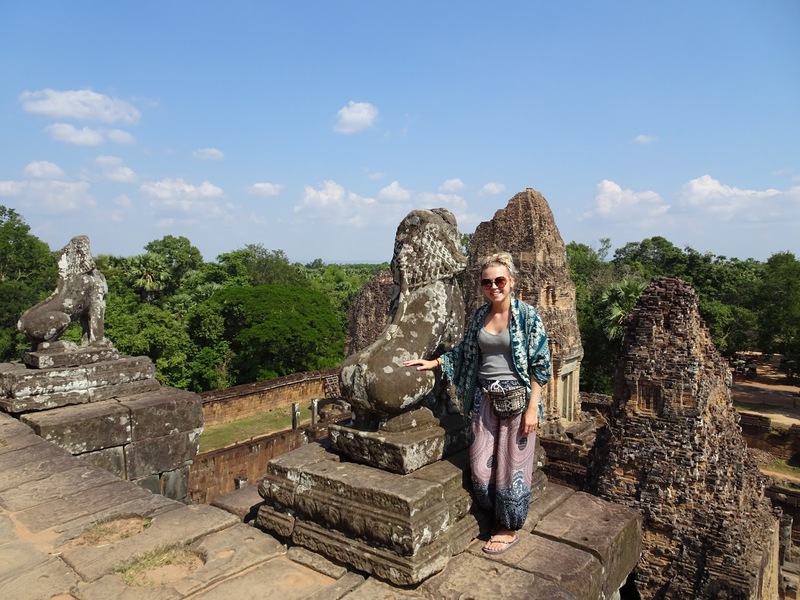 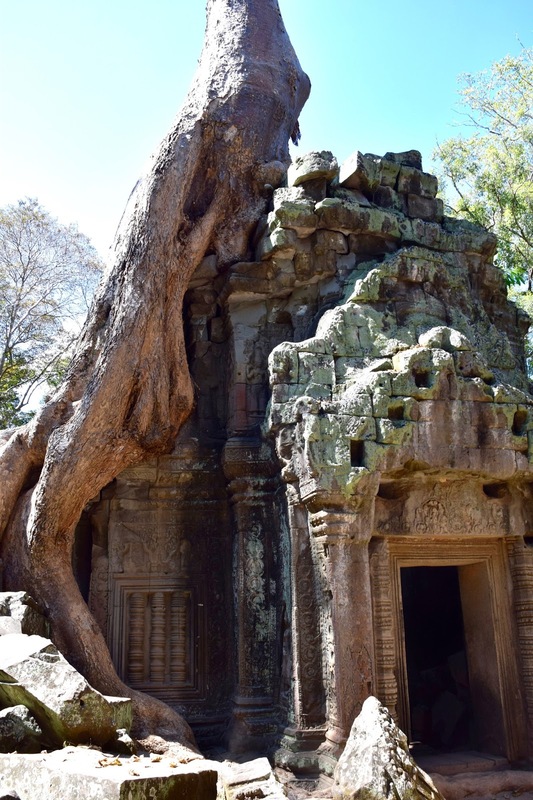 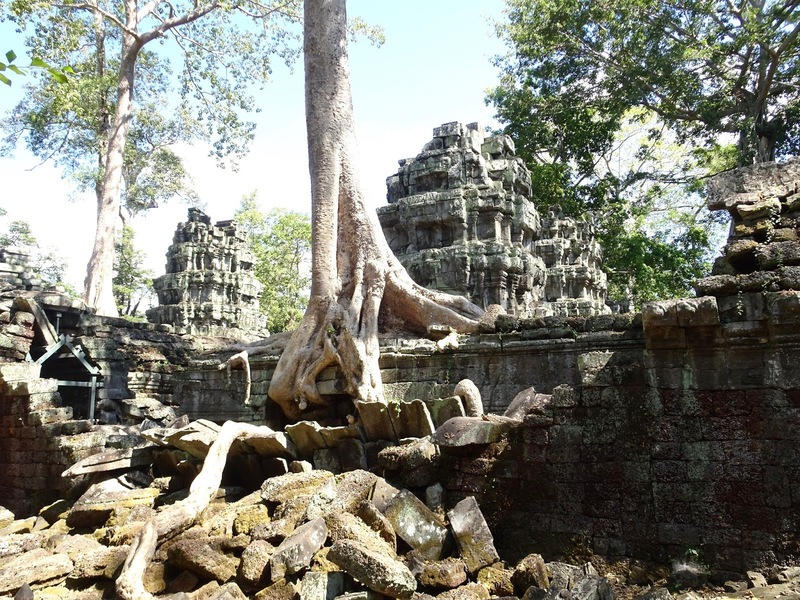 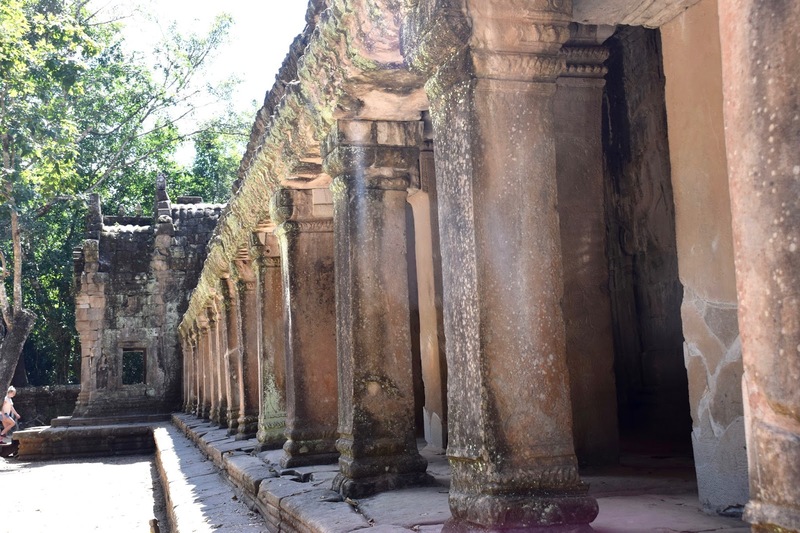 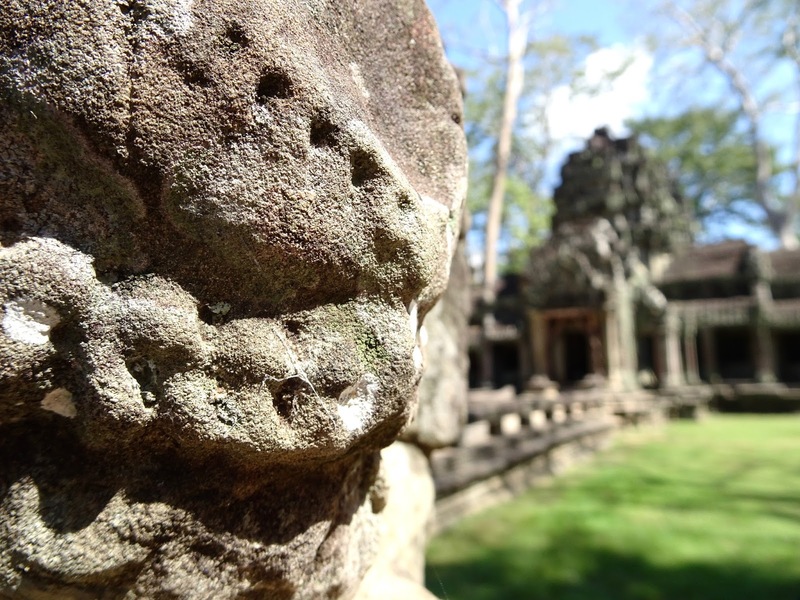 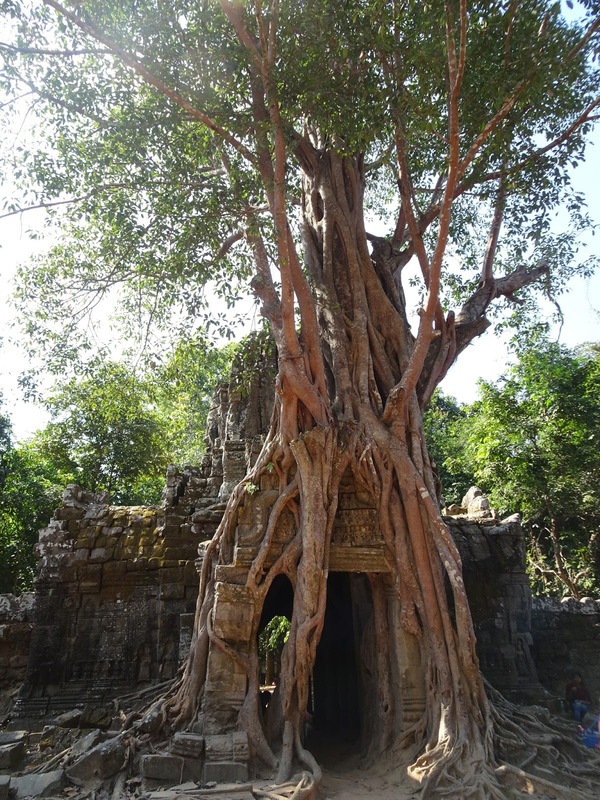 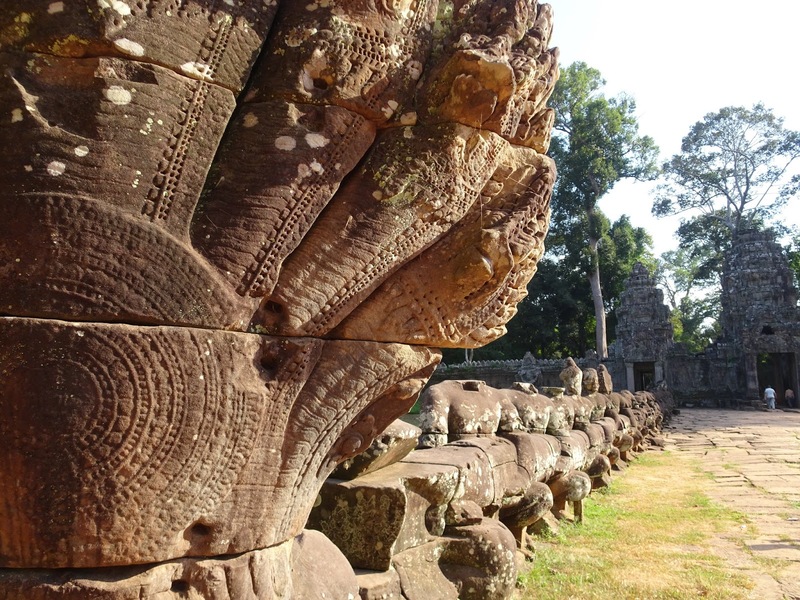 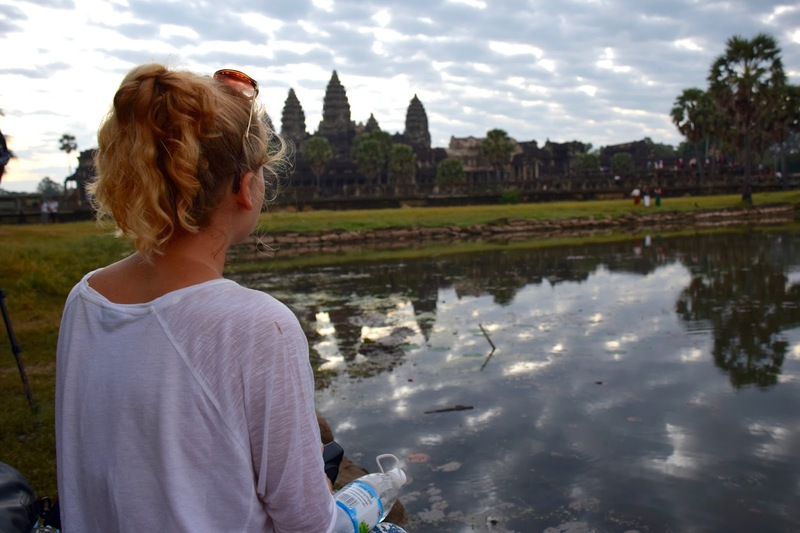 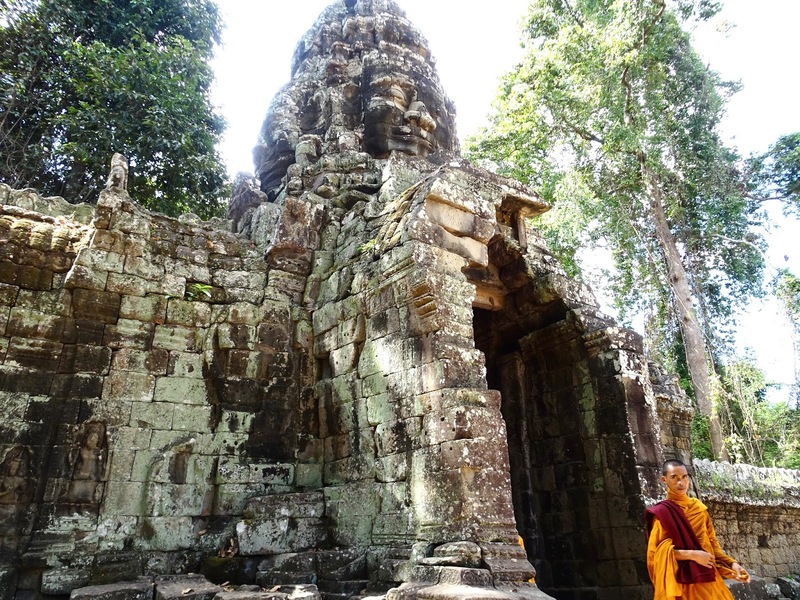 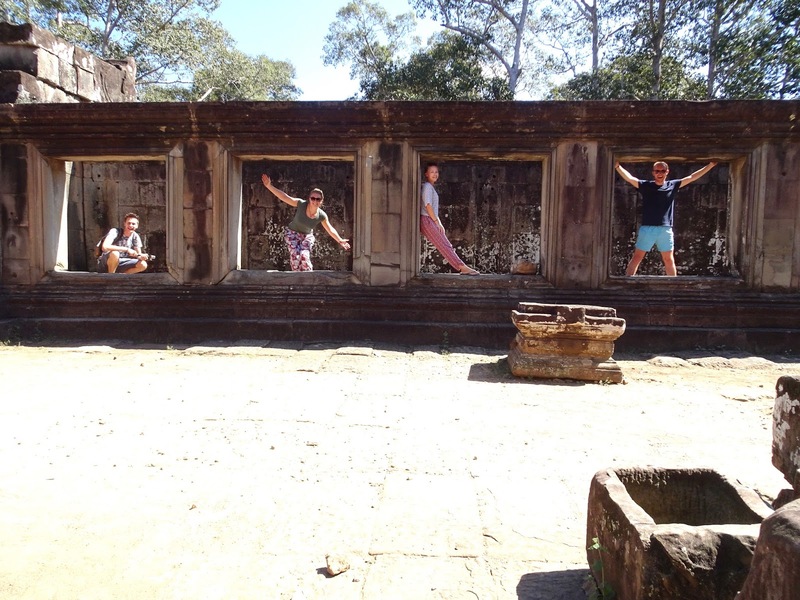 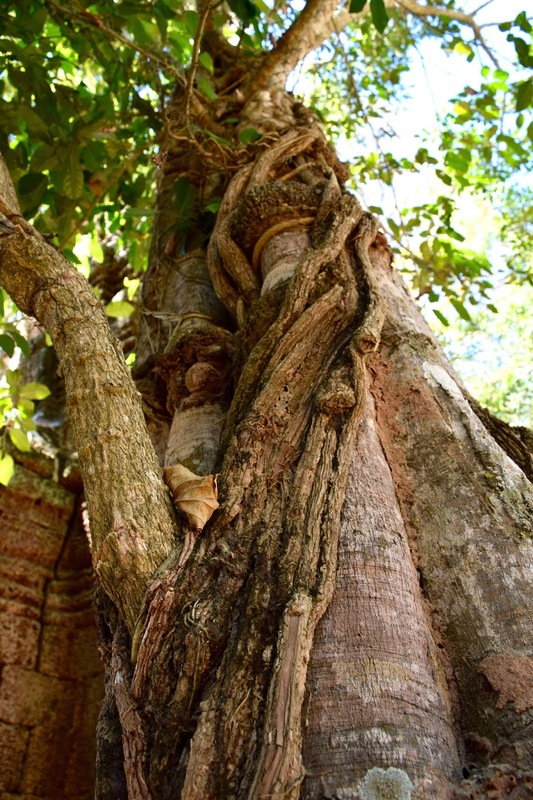 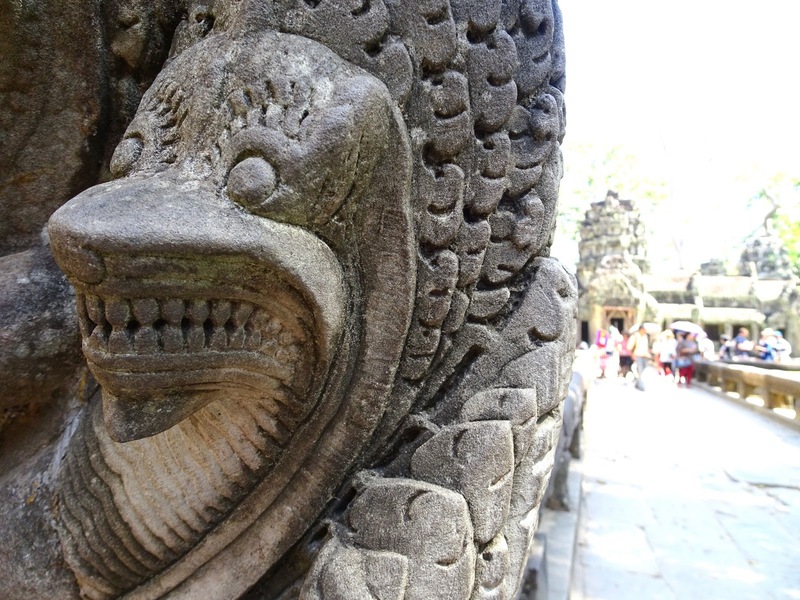 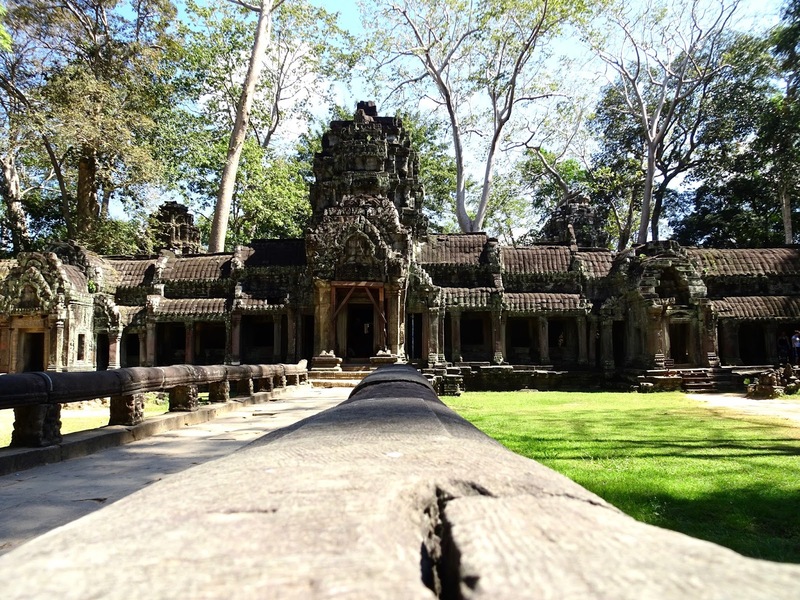 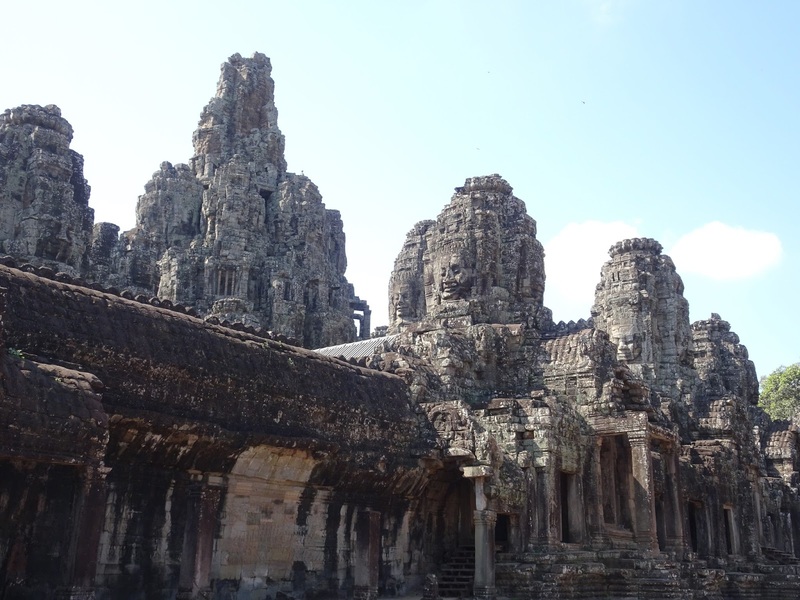 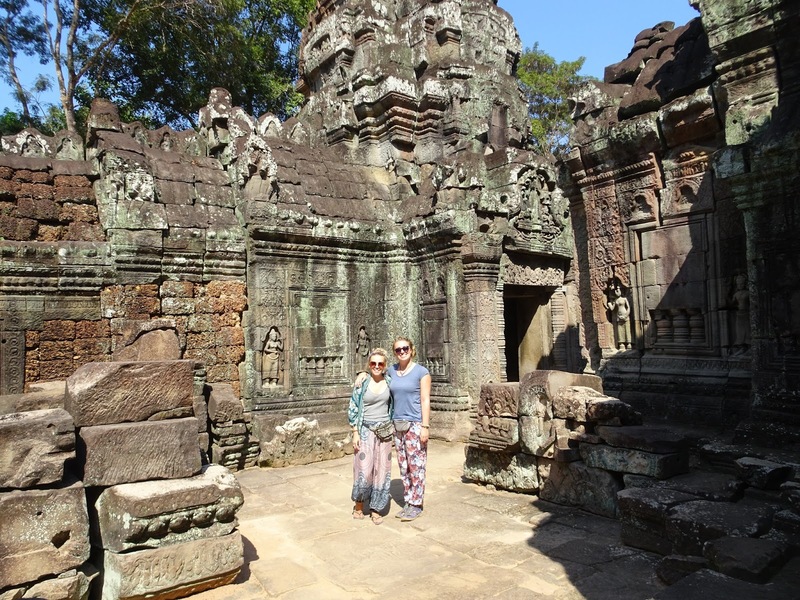 On our first day we visited Ta Keo, Ta Prohm, Sras Srang and Banteay Kdei. 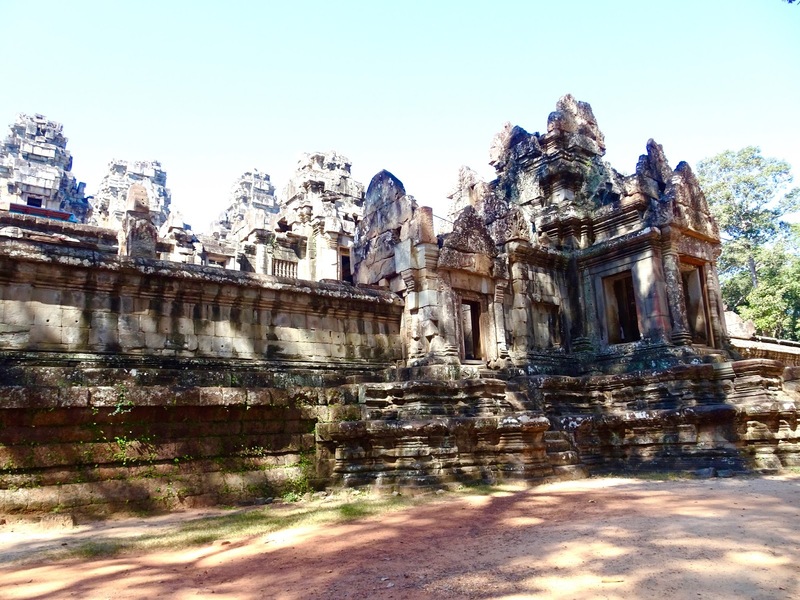 This took about five hours, which is realistically about as long as we could spend walking around in the heat before we needed a rest, and something to eat. 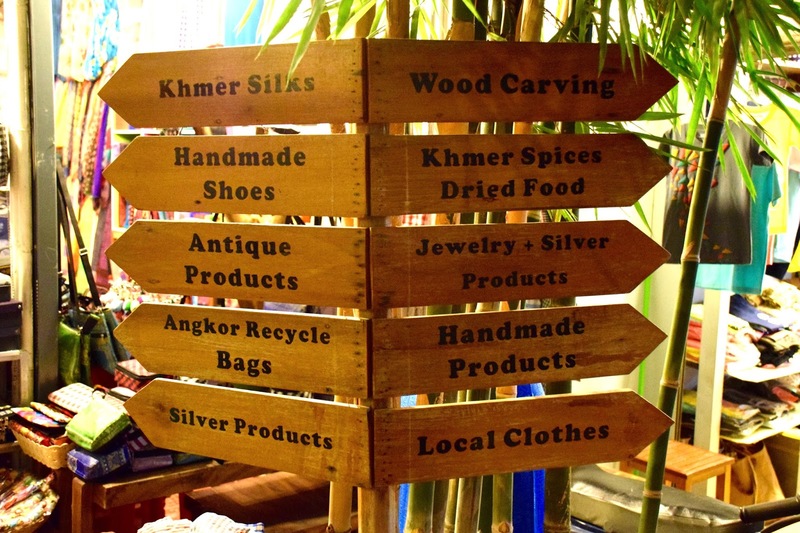 We headed to Sister Srey for a late lunch, and it was so good we decided we’d have to go back there another day to try the breakfast. 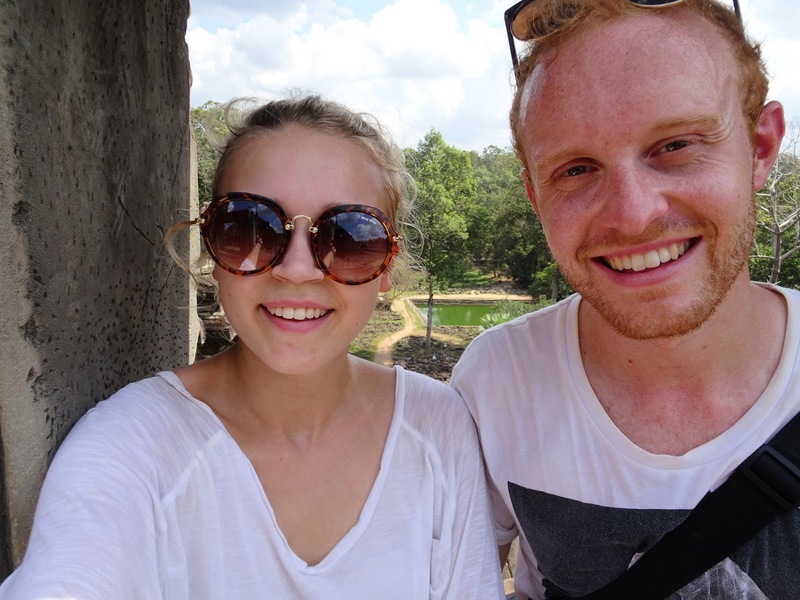 Our hotel was partnered with another with a pool (which we were to move to the next day), so we went for a quick swim before dinner and a look around the night markets. 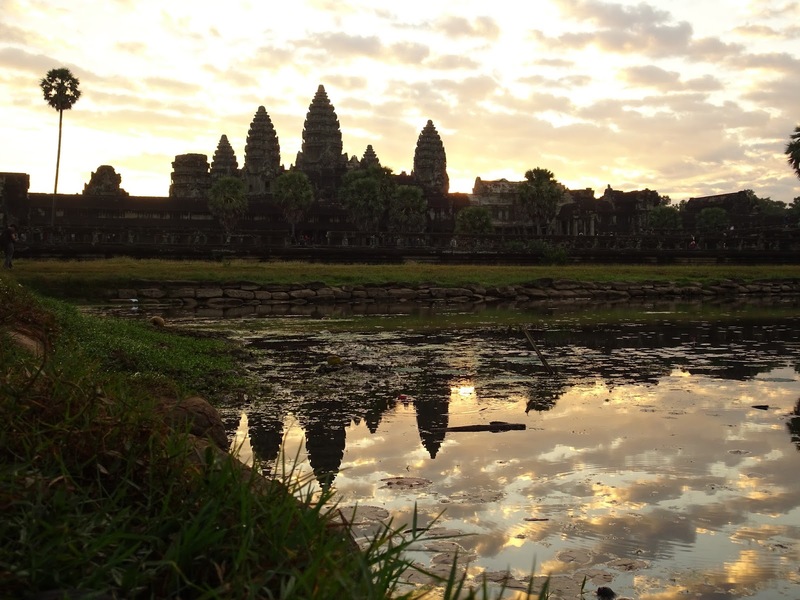 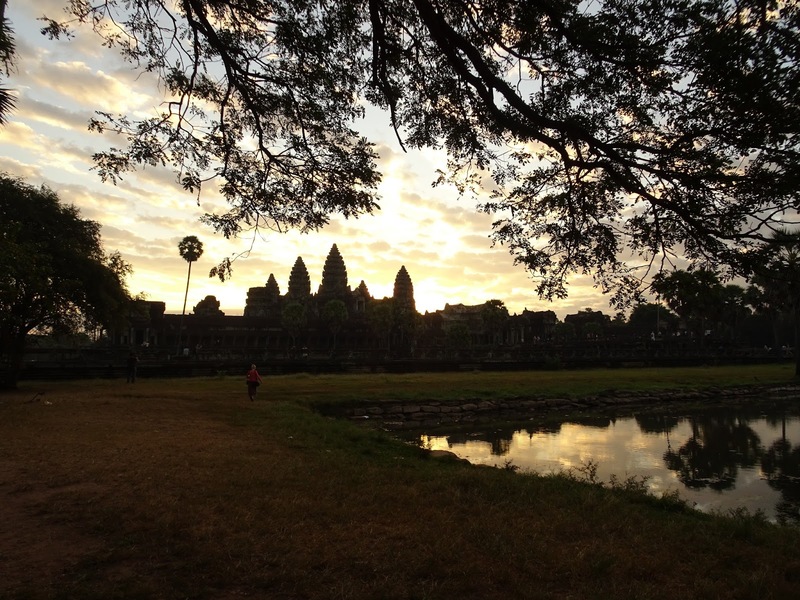 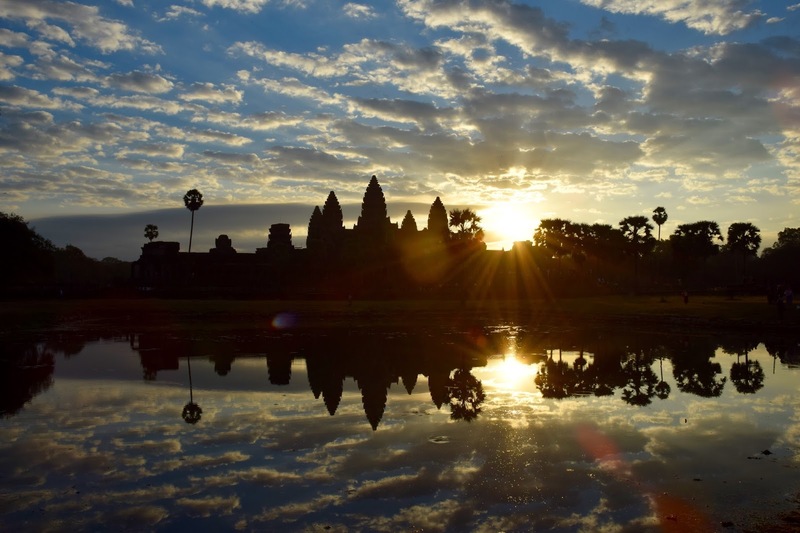 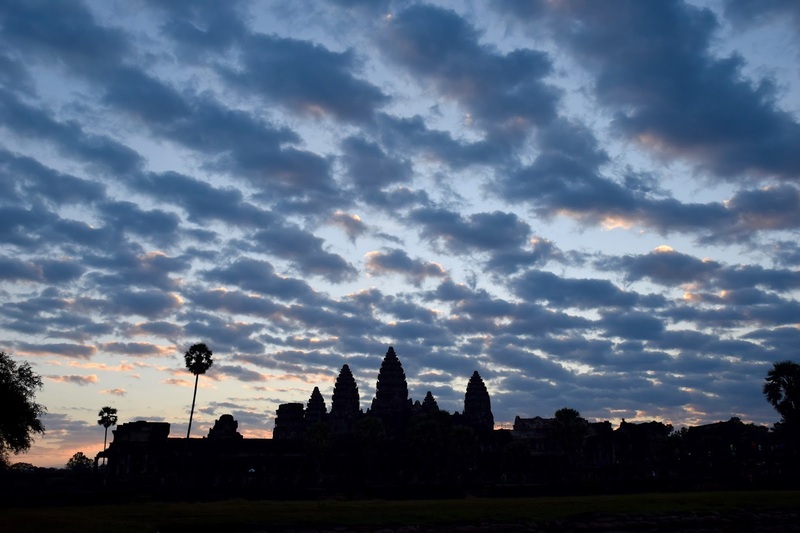 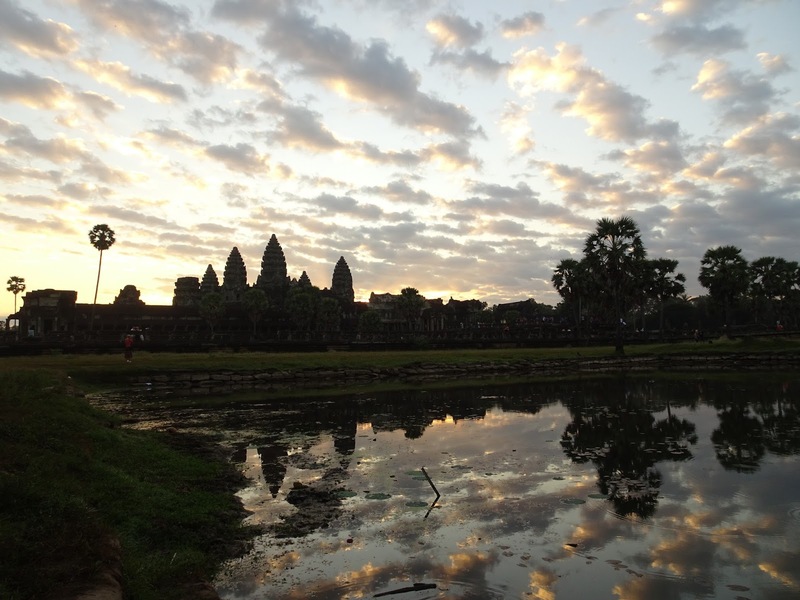 Sunrise at Angkor Wat, the most iconic temple, was something we had planned to do from the beginning, and this required a 4am wake-up. 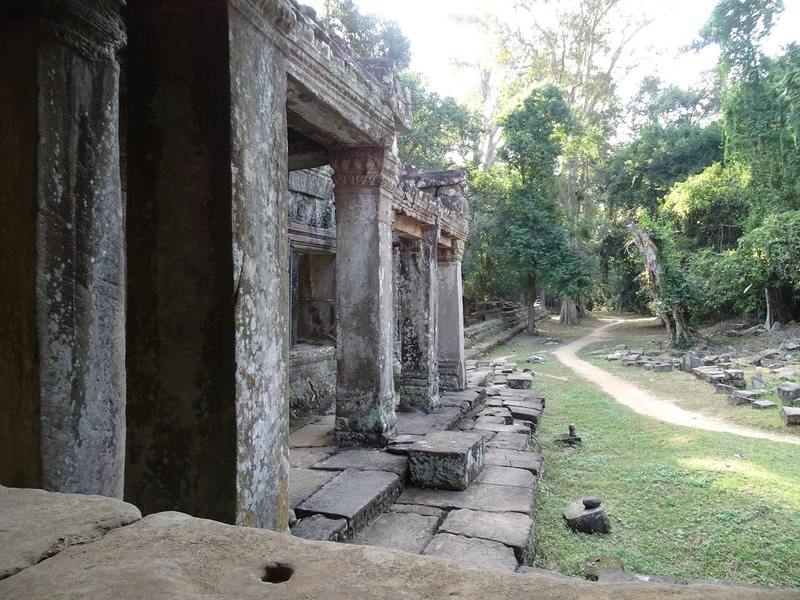 It was quite eerie walking around Angkor in complete darkness and attempting to choose a spot from which to watch the sunset without really knowing what we were looking at. 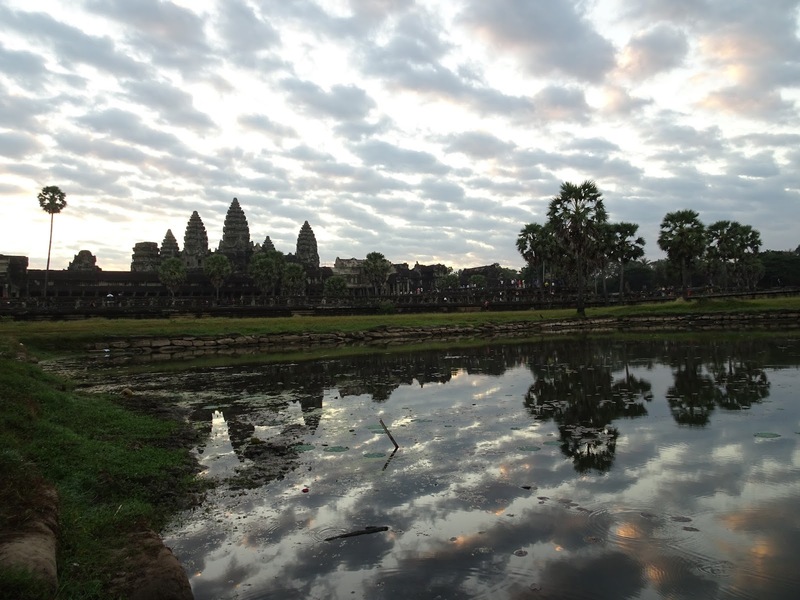 It was quite a cloudy day, so we didn’t quite get the sunset we were hoping for, but it was still an experience worth seeing. 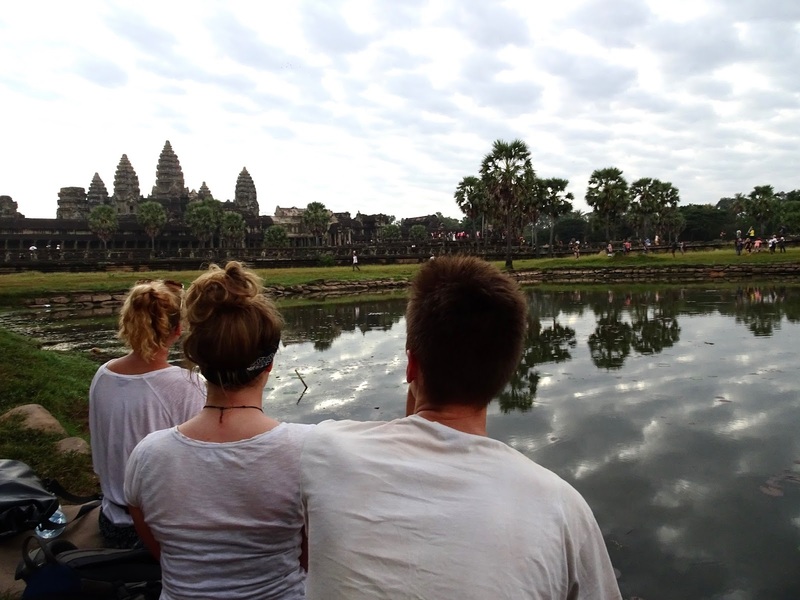 Once the sun had risen we had breakfast, Cambodian style, and then had a wander around the temple itself. 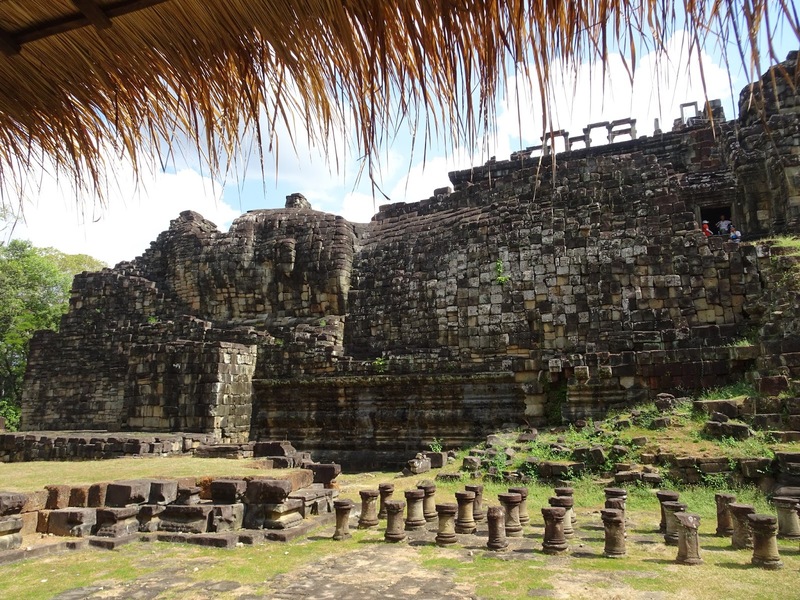 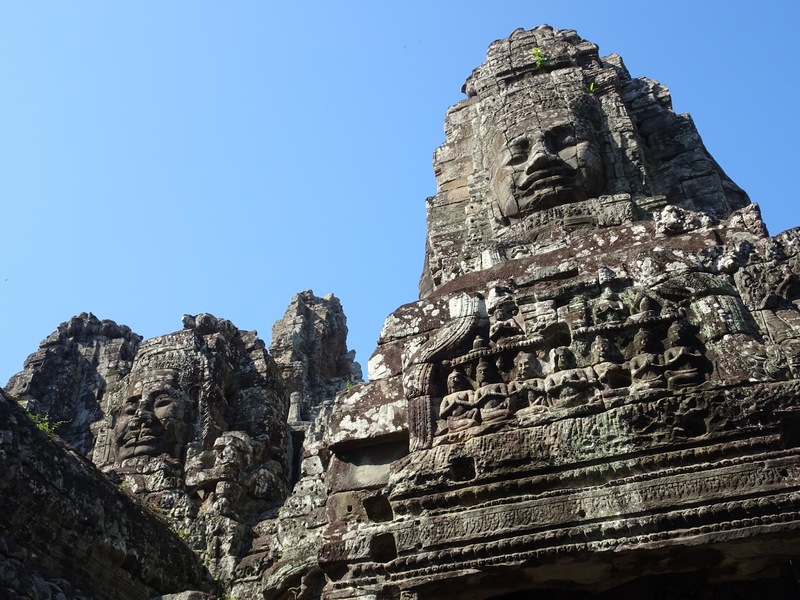 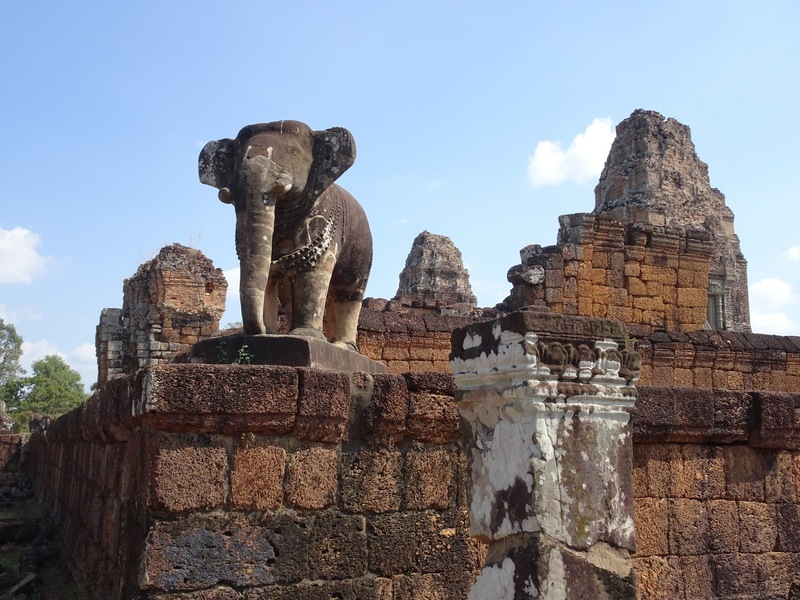 We also visited Bayon, Ba Phuon, Phimeankos, Terrace of the Lepers and Terrace of the Elephants. 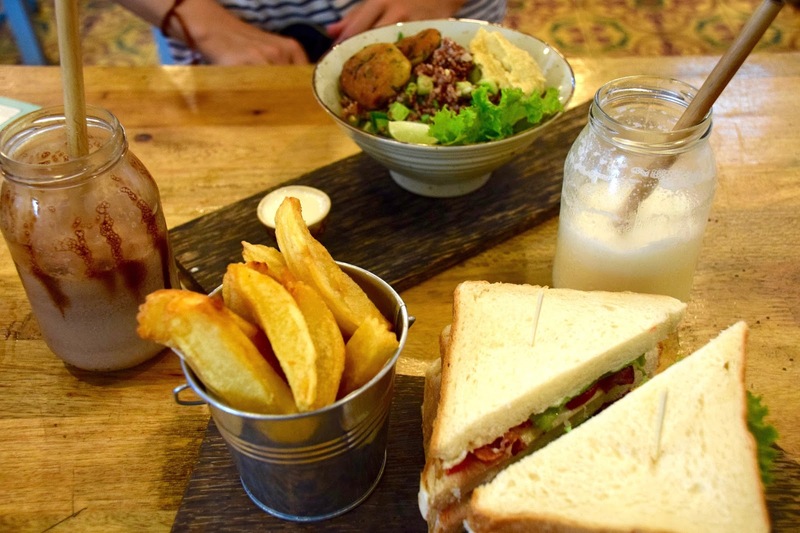 After some lunch at New Leaf Café, we packed up our things and moved over to Mad Monkey Hotel. 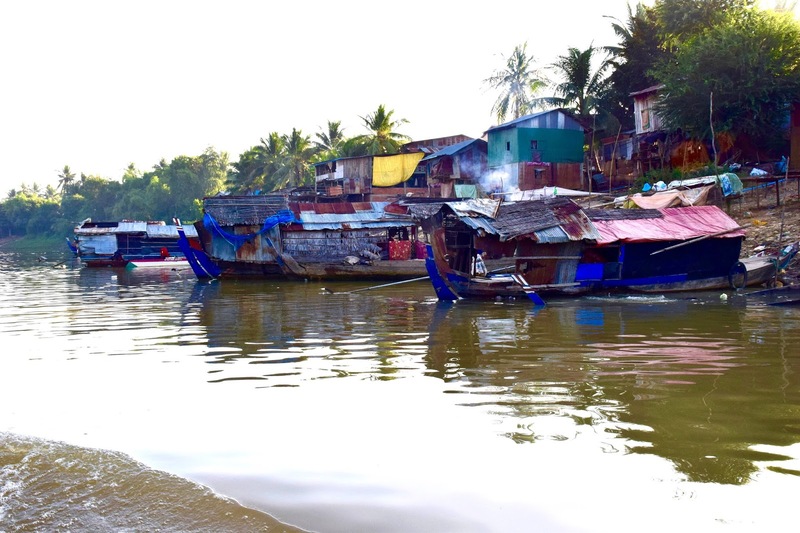 Whilst we were expecting it to be a little noisier due to the ‘party’ atmosphere of this hotel, we hadn’t anticipated the extra noise due to all the building work going on, and after a bit of deliberating we decided to move back to Naga. 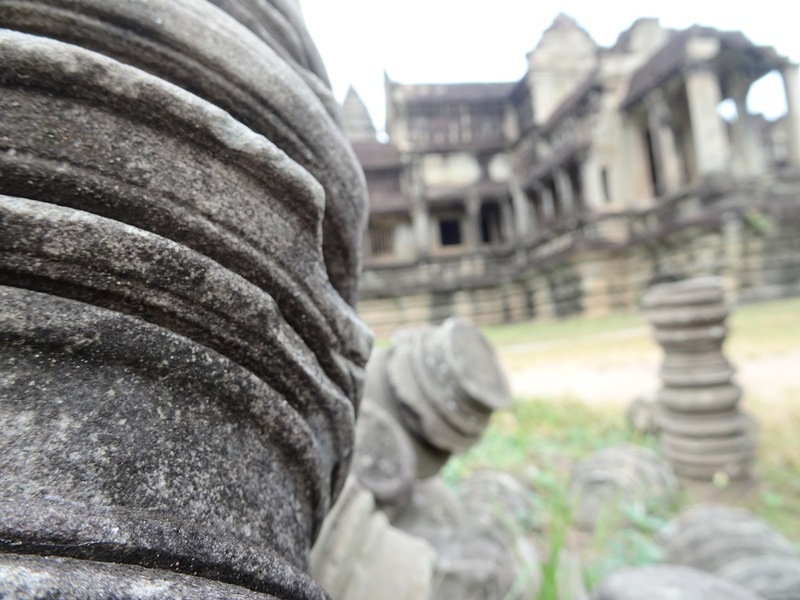 The following day we had a break from temples, and had a lie-in before breakfast at Sister Srey and an afternoon at the Landmine Museum. 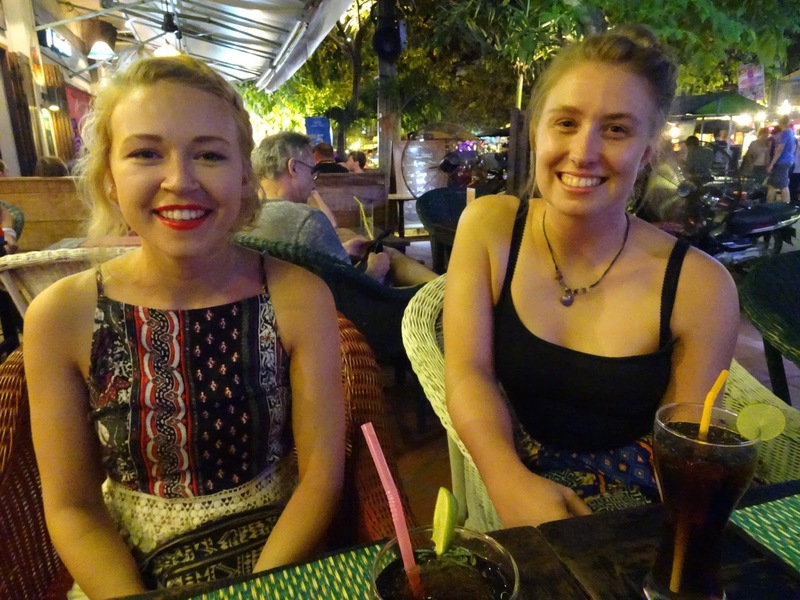 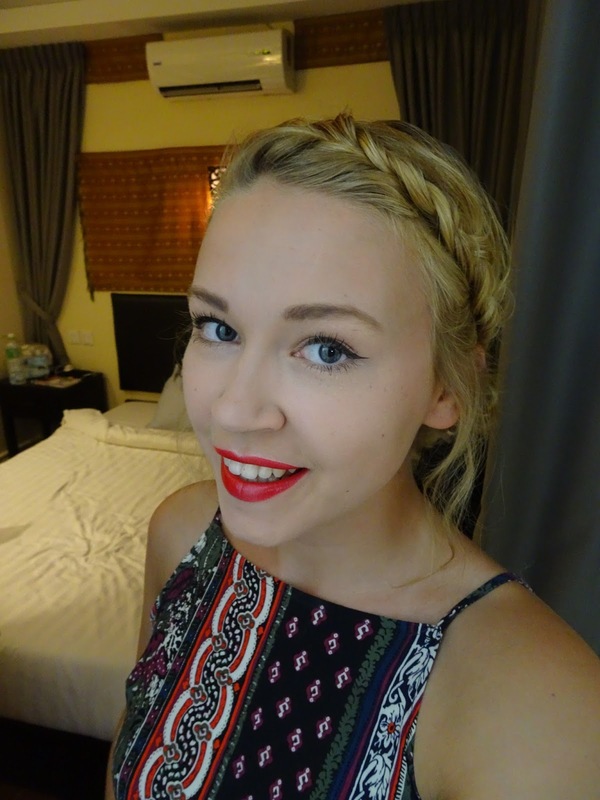 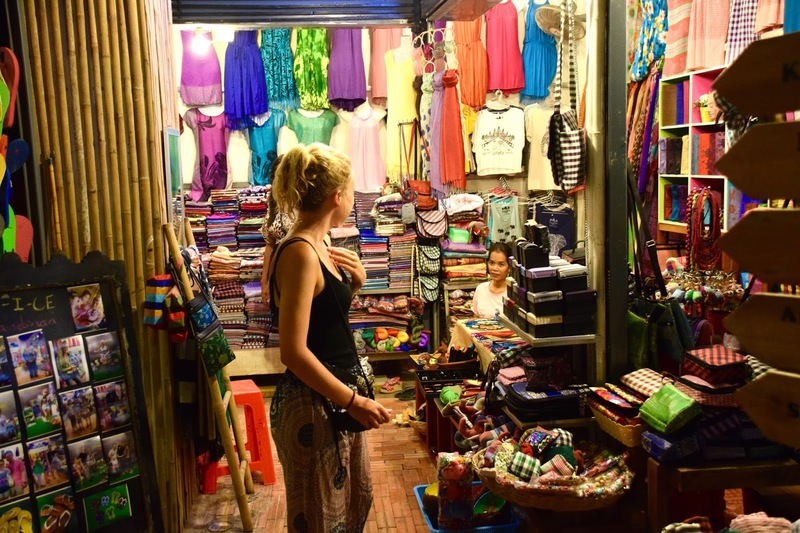 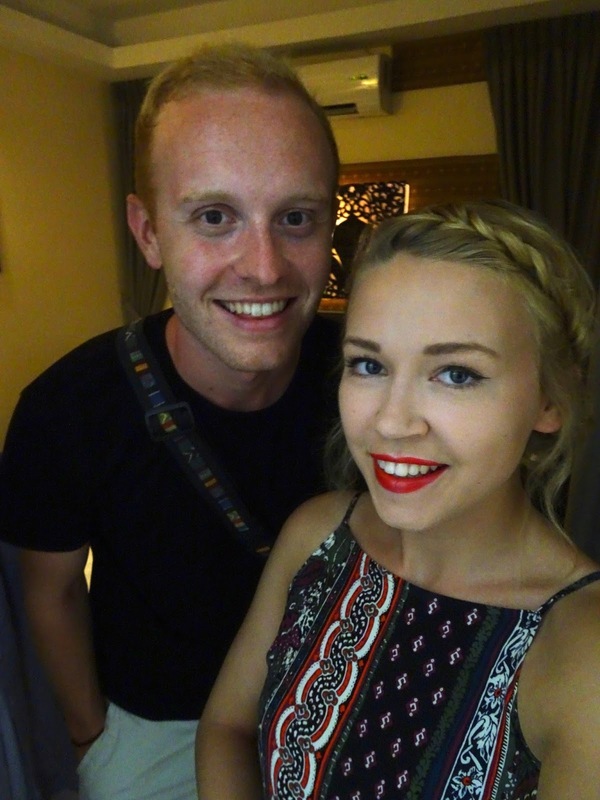 Having failed to go on our planned night out in Sihanoukville due to illness, we decided to experience a Siem Reap night out, which was a lot of fun. 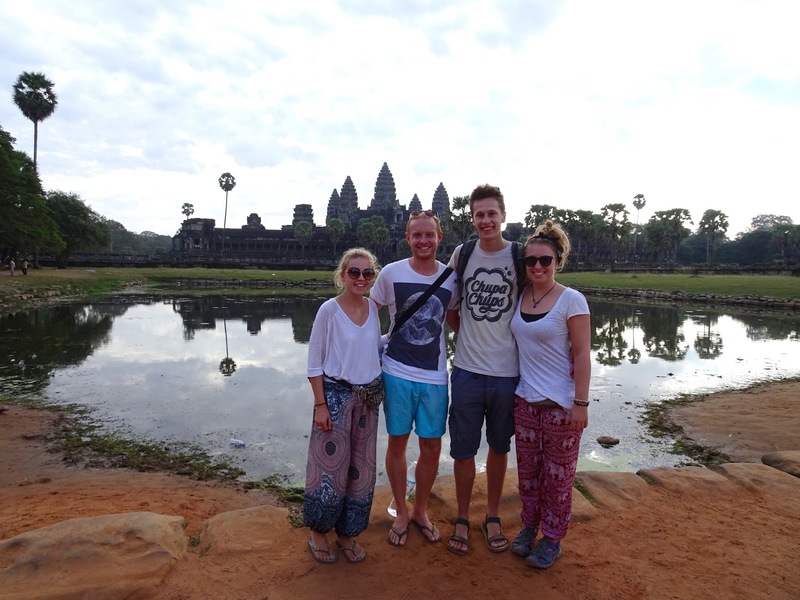 Inevitably, we needed a bit of recovery time the next morning, and in the afternoon myself Vicky and Tom went out in Siem Reap to a few shops (whilst Sam was left feeling quite unwell and very sorry for himself. 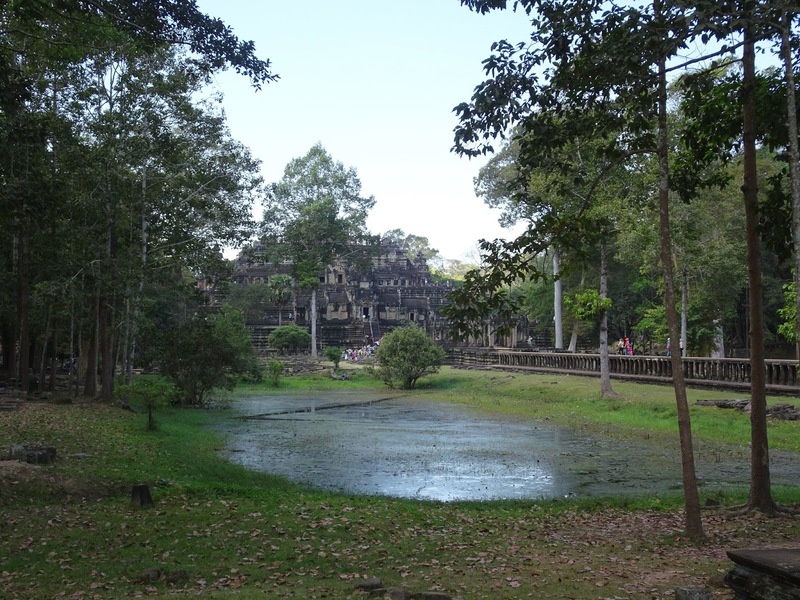 For our final day, we got up early for a couple of hours at Angkor Wat Putt, a temple-themed crazy golf course. 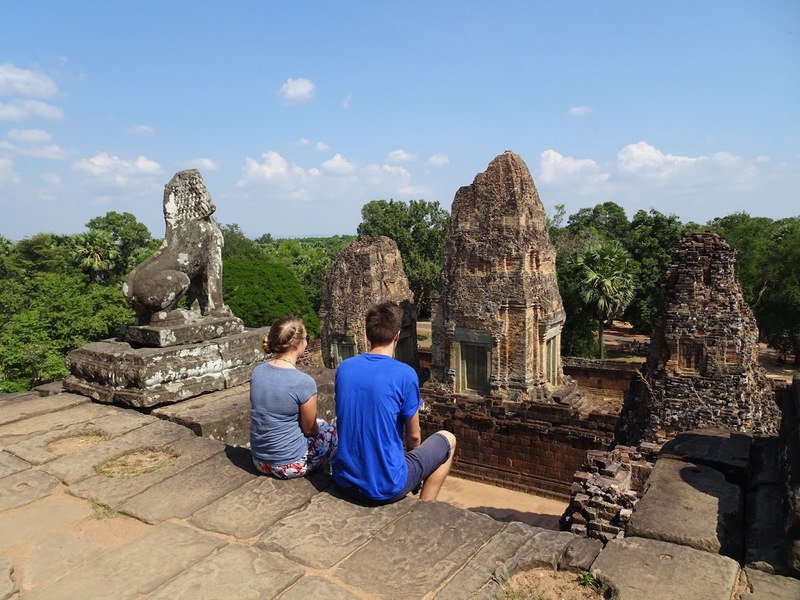 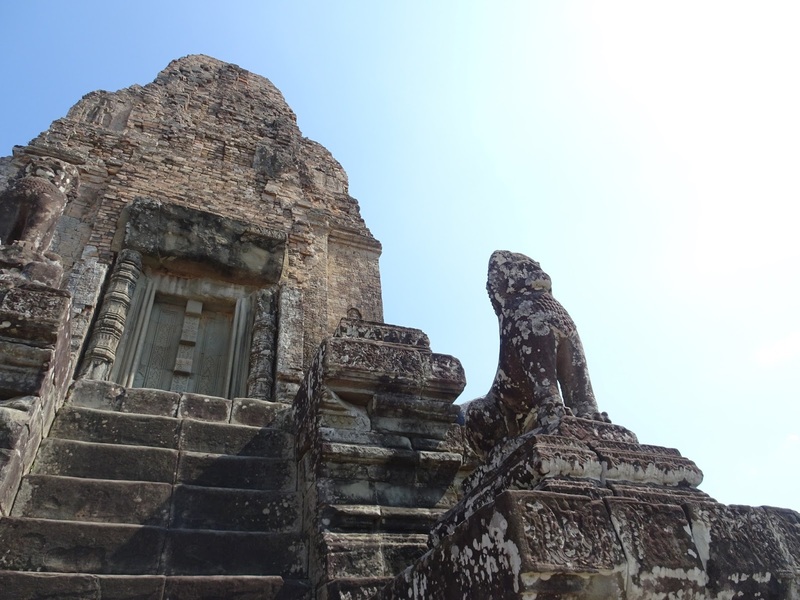 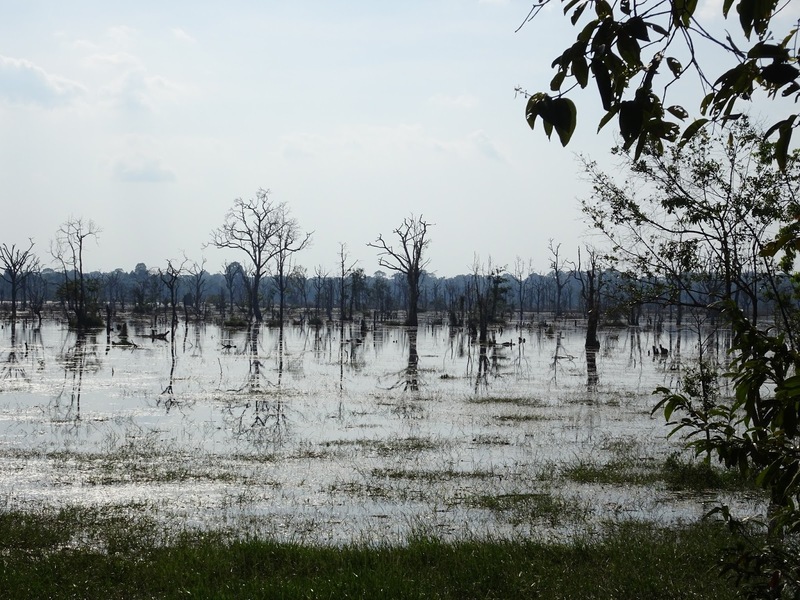 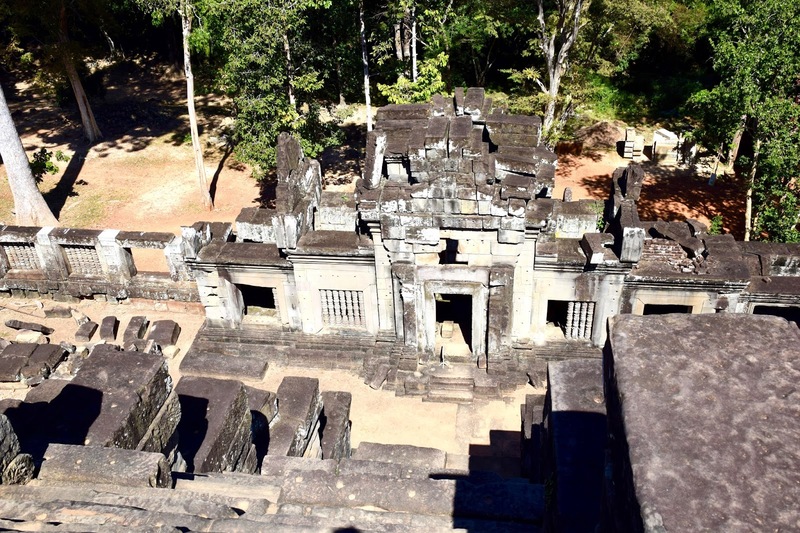 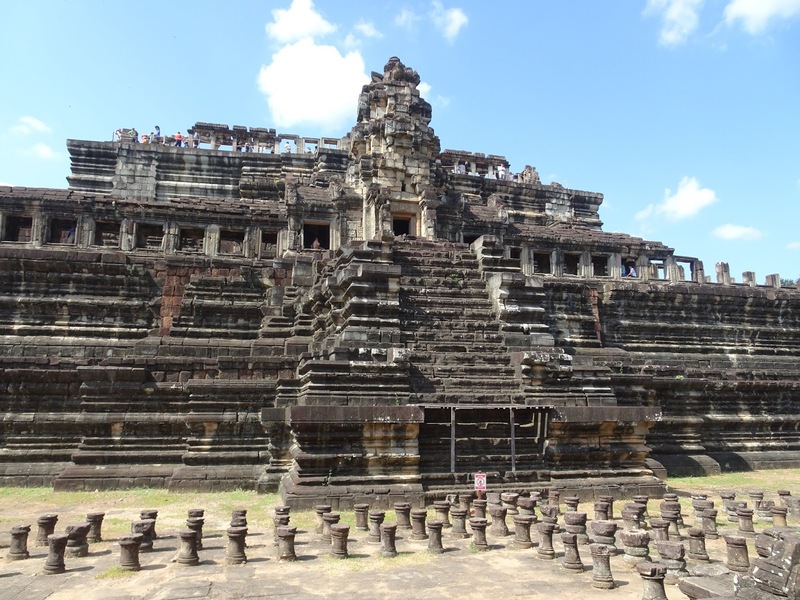 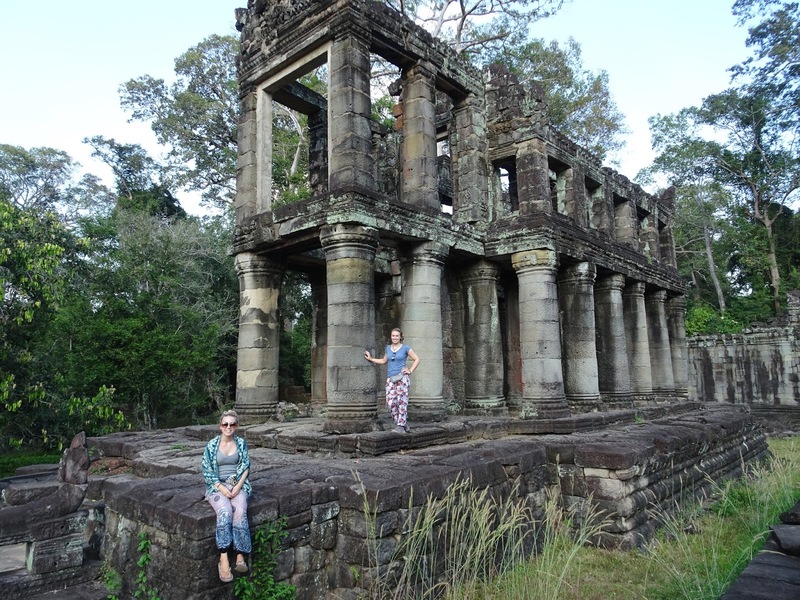 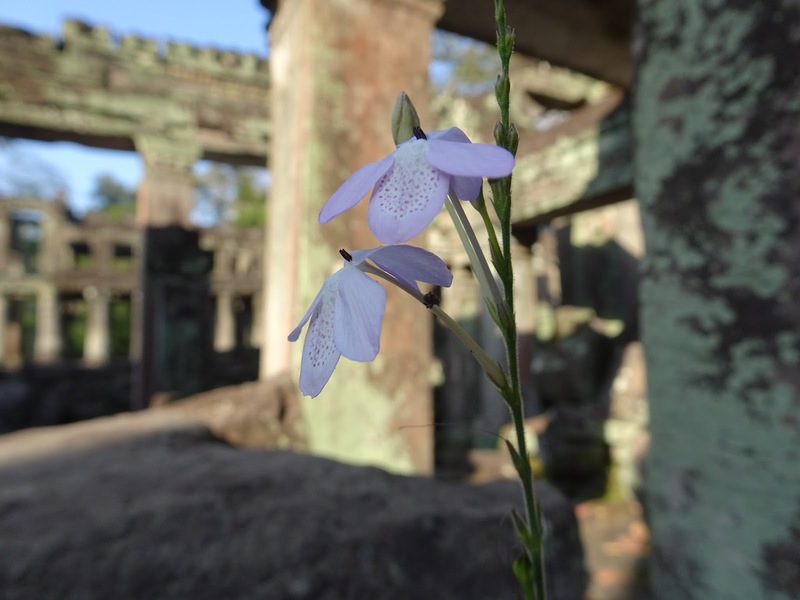 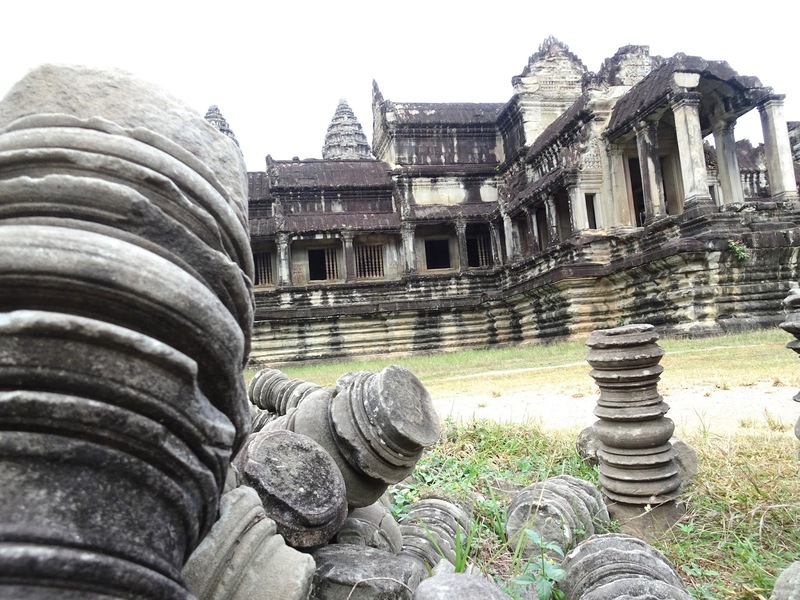 The temples of choice for our last venture into Angkor were Pre Rup, East Mebon, Ta Som, Neak Prean and Preah Khan. 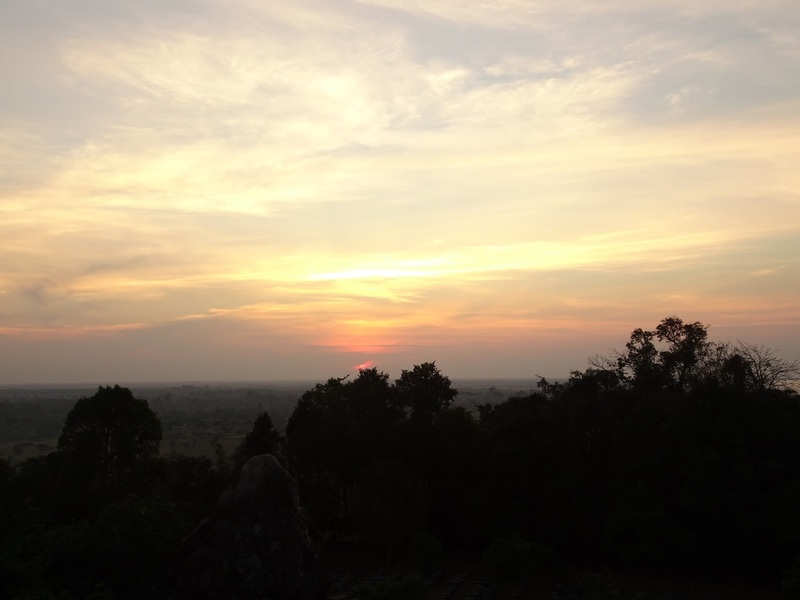 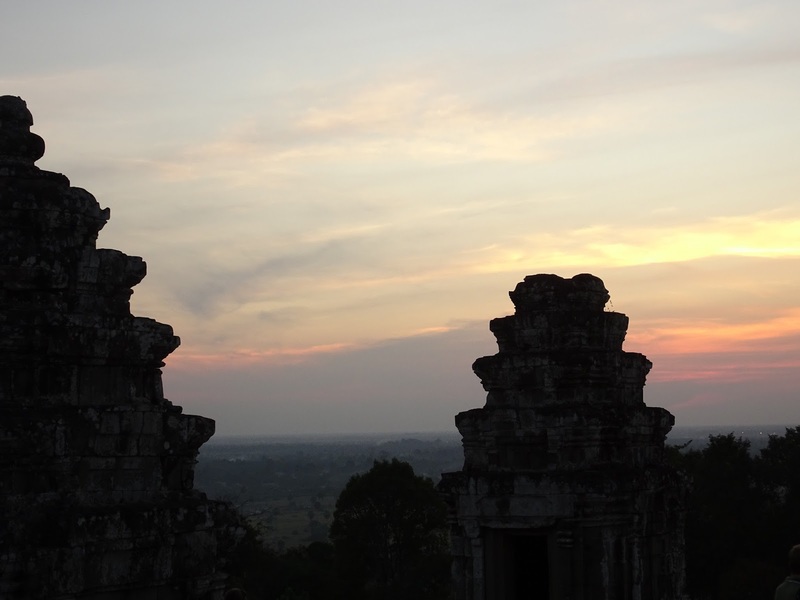 And then just before we had to get our tuk-tuk to the airport for a flight to Bangkok, we queued for an hour to finish Cambodia with a sunset at Phnom Bakheng. 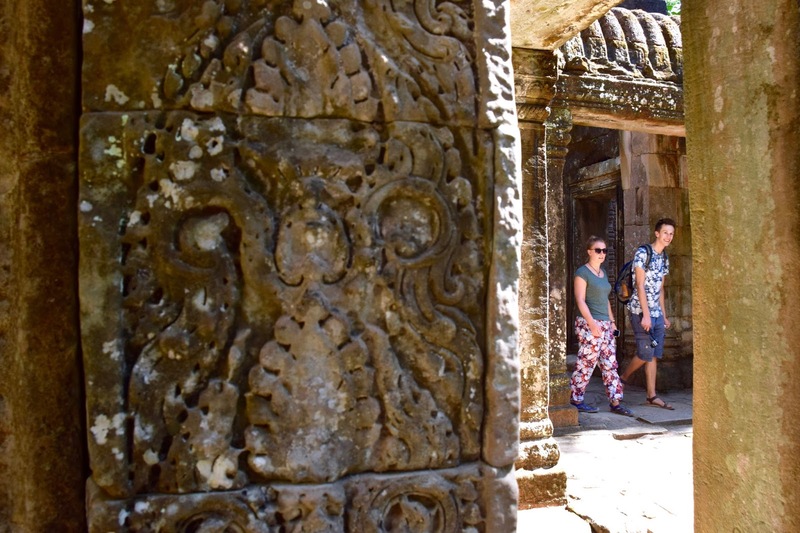 I also vlogged our stay, which gives an even better impression of Siem Reap, so give that a watch and subscribe to my YouTube channel so you don’t miss the vlogs from the rest of the trip!